At Tolcon Legal we understand that every family is unique and take a personal, compassionate approach to each and every one of our clients. Contact us today to discover how we can deliver the right results for you. We provide a broad range of family law services to clients across Western Australia from divorce and family estates through to ensuring the best outcomes for children affected by separation, we deliver the right results. Tolcon Legal help minimise the stress of separations by assisting with your Divorce application and ensuring the timely and hassle-free dissolution of your marriage. We can provide you with advice about the legal process, your legal entitlement and your obligations towards your former spouse or de facto partner. We understand that there are many misconceptions surrounding what amounts to a de facto relationship. Contact us today for a confidential, obligation-free discussion. If you believe you’re entitled to spousal maintenance, or are concerned about the likelihood of a claim being made against you, Tolcon Legal can give you clear advice. At Tolcon Legal we encourage separated parents to reach functional and fair parenting arrangements and outcomes which are in the best interests of children. We are experienced in drafting common sense binding financial agreements which provide certainty to both parties and ensure the rights of our clients are protected. Discover more below. Experience shows us that documenting an agreement protects our clients rights into the future. Tolcon Legal provide a complete Binding Financial Agreement and Consent Order service. From drafting a straightforward Will, to the creation of estate planning strategies, Tolcon Legal provide creative solutions to potentially complex problems that ensure your loved ones are taken care of. With over 20 years’ experience in all areas of Family Law in Perth and across Australia, Tolcon Legal provides the guidance, knowledge and compassion to deliver practical advice, and caring resolution to Family Law disputes. We ensure that our clients receive proper advice on their rights and obligations, and offer concise and cost-effective solutions, which best enable clients to move on with their lives. Our services include court representation, negotiation, mediation, arbitration, property settlement and drafting a range of legal documents, such as binding financial agreements, parenting arrangements, consent orders and Wills. Family Law disputes are confronting and difficult for families to work through alone. As a boutique Family Law firm, we guarantee that each matter receives our utmost attention. We take pride in delivering a client-focused service that delivers the right result, every time. Separating, especially when children are involved, is a very difficult process even under the best of situations. My circumstances were a little more complex than for many and my financial resources were not extensive. 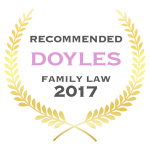 From the outset Tolcon Legal have been thorough, professional, kind and understanding and we have absolutely no hesitation in recommending their services to anyone with a family law matter. Although my situation was stressful it was helped greatly by having Tolcon Legals vast expertise to guide me through a system I knew nothing about. They made it very obvious from the start that they were there to get the best outcome for my situation. I highly recommend Tolcon Legal to anyone going through a property settlement, and I can’t thank them enough for supporting me through that process. Tolcon Legal managed my family and property settlement in an outstanding manner. Their advice from my first meeting onwards was first class. The dialogue was kept simple and all matters explained in an easy to understand manner. Always professional, meticulous, caring, reliable and readily accessible.